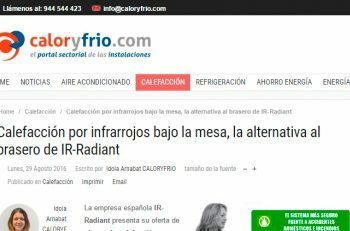 IIR-RADIANT began its journey in the world of infrared heating in 2011, and finally, in 2015, we took the big step of being able to manufacture our panels in Spain. With this, we have managed to improve our services, our sales services and our competitiveness in general. Doing things well by our technical department, sizing all the projects with accuracy and with a lot of work, we have gained a presence in the world of Heating in Spain and other Countries, presenting an extensive catalog of a new quality product with which we can serve all the range of needs that our clients may have. 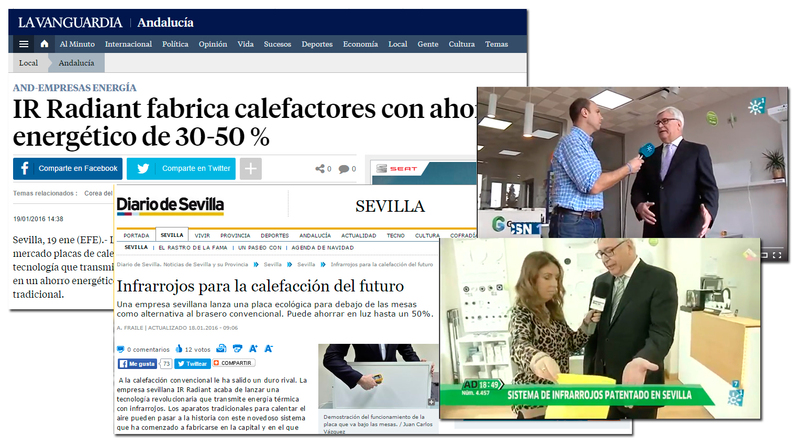 In this page you can consult the appearances of our plates or infrared panels in the press and the different mass media, reflecting our effort.